Warm, intimate, fluid and expressive, this lovely album evokes the gentle contours and subtle gradations of light portrayed in its alluring cover photographs of sun-flooded forest glens. 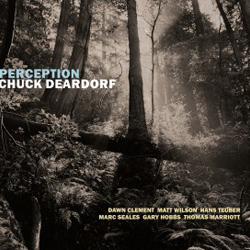 Seattle bass maestro and longtime Cornish College instructor Chuck Deardorf’s third album as a leader, Perception, is less plugged-in than previous outings—his rich, full acoustic sound anchors all but one track—yet remains rooted in both straight-ahead and ’60- ‘70s fusion feels. To its core piano trios of Dawn Clement and Matt Wilson (six tracks) and Marc Seales and Gary Hobbs (three)—Deardorf artfully builds arrangements topped mostly with tenor saxophone (Hans Teuber), but also with flugelhorn (Jay Thomas and Thomas Marriott) and trombone (David Marriott). The bassist draws tunes from the books of Kenny Barron (with whom Deardorf has worked), Keith Jarrett, Jack DeJohnette, Steve Swallow, Stevie Winwood, Thelonious Monk and Seattle’s own Jim Knapp; Deardorf also improvises a free duo with Wilson. The Perception CD release concert takes place on February 23, 8pm at PONCHO Concert Hall, Cornish College of the Arts. For more information visit www.cornish.edu. 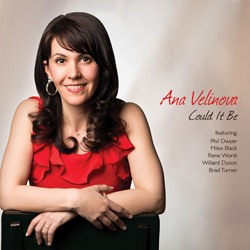 Sparkling and smooth with a gentle ability to surprise are the hallmarks of vocalist Ana Velinova. Her latest album, Could It Be, is a collection of heartful songs of love and yearning. 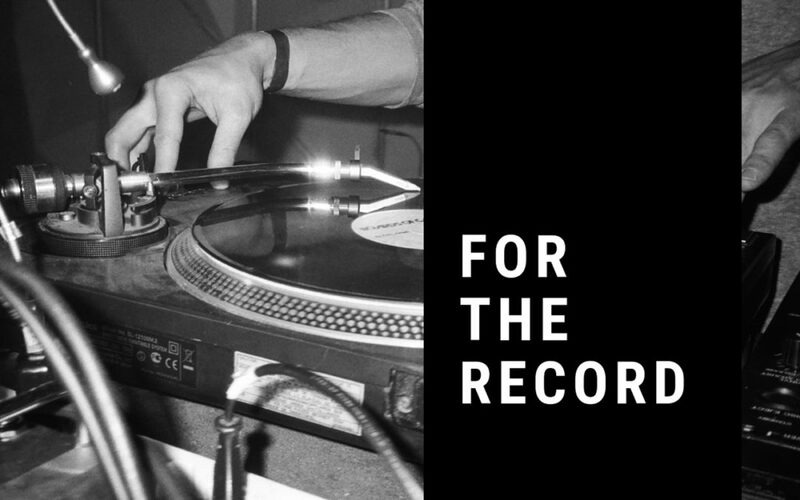 The album will not disappoint listeners who enjoy jazz standards that mix the melancholy with the hopeful in search of human connection. The opening piece “Let’s Get Lost,” popularized by Chet Baker, is an upbeat number featuring Velinova’s delicate voice perfectly balanced with Miles Black’s piano and Rene Worst’s bass playing, mixed up with a jovial solo by Phil Dwyer on saxophone. “The Very Thought of You” is a strong vehicle to highlight Black’s piano prowess and Dwyer’s dexterous sax playing with Willard Dyson providing a confident, backbone beat on the drums.